^ a b Thomas, Bob (December 24, 2012). "Charles Durning Obituary". Los Angeles: AP via Legacy.com. Retrieved December 26, 2012. ^ "Speech by Consul General of France Philippe Larrieu". Los Angeles: French Diplomatic Mission to the United States. April 22, 2008. Archived from the original on May 6, 2008. Retrieved December 26, 2012. 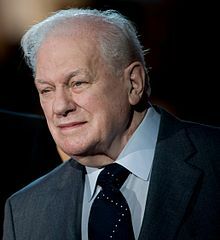 ^ "Charles Durning, Oscar-nominated king of the character actors, dies at 89 in NYC". The Washington Post. Archived from the original on December 26, 2012. Retrieved December 25, 2012. 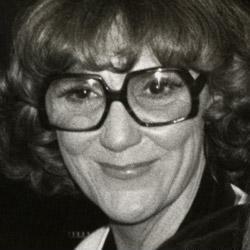 Brett Somers was a Canadian-American actress, singer, and game-show personality who was born in Canada and raised in Maine. Brett was best known as a panelist on the 1970s game show Match Game and for her recurring role as Blanche Madison opposite her real-life husband, actor Jack Klugman, on The Odd Couple. Joseph Anthony Mantegna is an American actor, producer, writer, and director. John Spencer was an American actor. He is best known for his role as Leo McGarry on the NBC political drama series The West Wing. 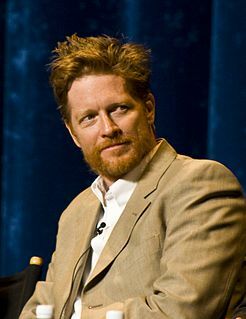 His performance on the show earned him a Primetime Emmy Award in 2002. 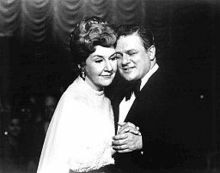 Vincent Gardenia was an Italian-American stage, film, and television actor. He was nominated twice for the Academy Award for Best Supporting Actor, first for Bang the Drum Slowly (1973) and again for Moonstruck (1987). He also portrayed Det. Frank Ochoa in Death Wish (1974) and its 1982 sequel, as well as Mr. Mushnik in the musical film adaptation of Little Shop of Horrors (1986). Harold Vernon Gould was an American character actor. He appeared as Martin Morgenstern on the sitcom Rhoda (1974–78) and Miles Webber on the sitcom The Golden Girls (1989–92). A five-time Emmy Award nominee, Gould acted in film and television for nearly 50 years, appearing in more than 300 television shows, 20 major motion pictures, and over 100 stage plays. 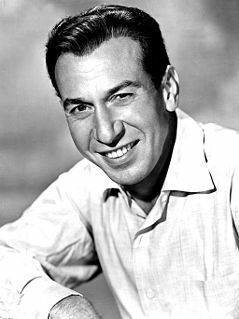 He was known for playing elegant, well-dressed men, and he regularly played Jewish characters and grandfather-type figures on television and in film. The Best Little Whorehouse in Texas is a 1982 American musical comedy film co-written, produced and directed by Colin Higgins. It is an adaptation of the 1978 Broadway musical of the same name, and stars Dolly Parton, Burt Reynolds, Jim Nabors, Charles Durning, Dom DeLuise, Noah Beery Jr., Robert Mandan, Lois Nettleton, Theresa Merritt, Barry Corbin, Mary Jo Catlett and Mary Louise Wilson.